Preheat a large skillet or wok to medium heat. Pour sesame oil in the bottom. Sauté shrimp 3-5 minutes, until cooked through. 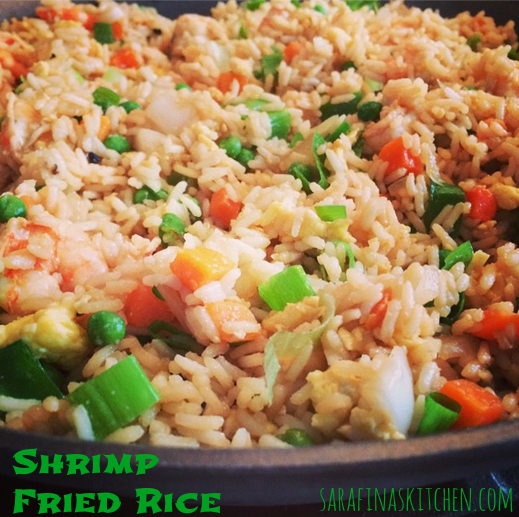 I love shrimp fired rice!